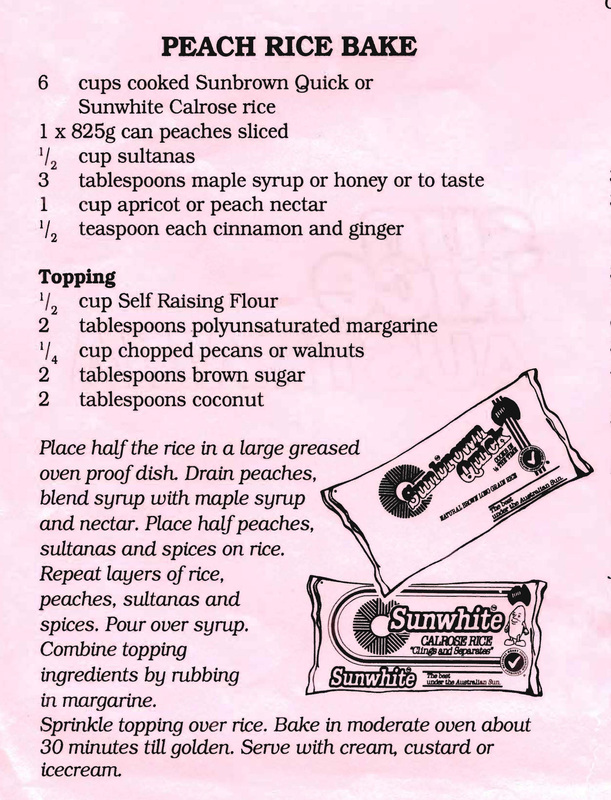 Mum must have gone to some sort of Sun rice promotion as there is quite a few rice-based recipe sheets in her collection. Not many of them are desserts though. I thought this one might work well – rice, peaches, sultanas, honey and spices with a crumble topping smothered in either cream, custard or icecream definitely has some appeal. 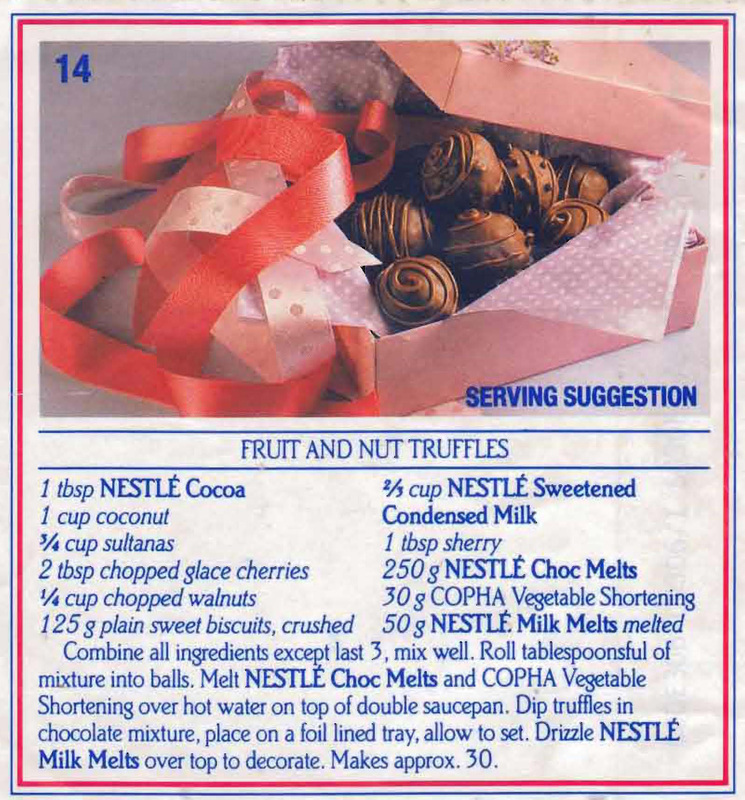 There’s lots and lots of truffle recipes around and this another version by Nestle. 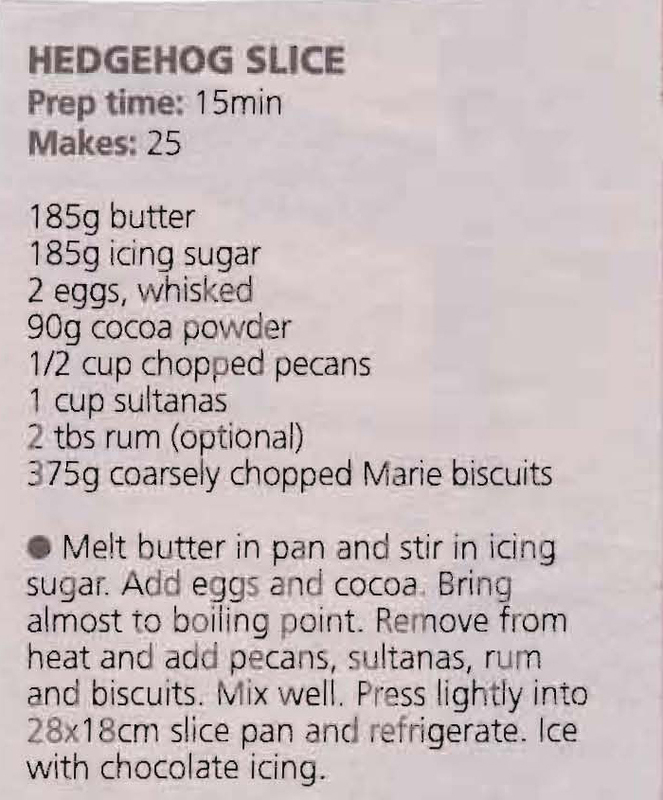 It uses sweetened condensed milk to bind the fruit, nuts and biscuits together and has a rich chocolate coating….they look yummy. 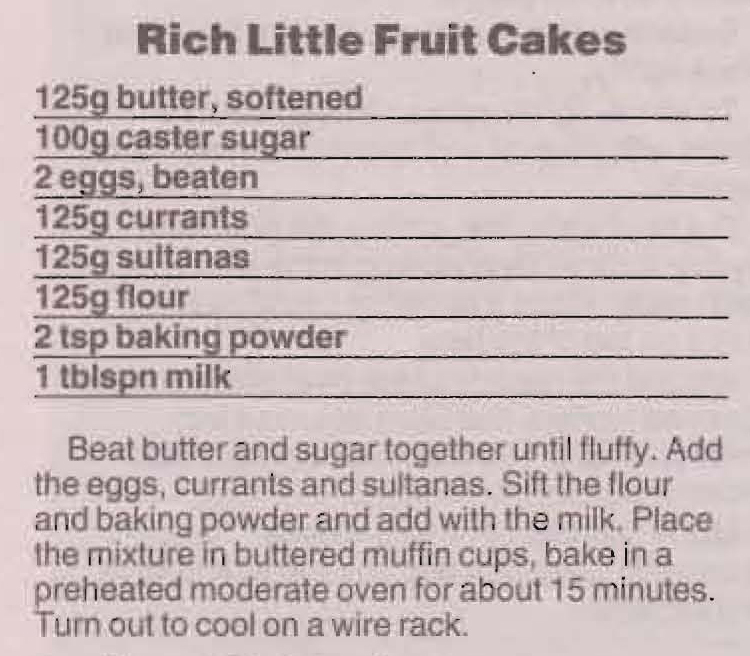 Cooking these in a muffin tray would seem to me to make them the ideal size for a children’s or even adult’s lunchbox. The added bonus is that they’re quick and easy to make. This slice is quick to make and keeps well, two things that are hard to beat. 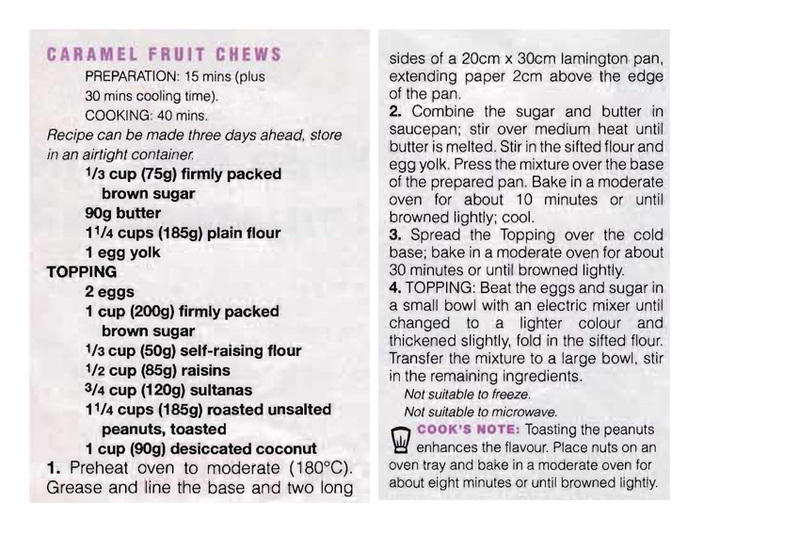 I always think of pinwheels being savoury not fruity and sweet, but this recipe is a great idea. With the apple in them they might go a bit soggy if you leave them in the tin too long, but I hopefully they’d be eaten before that could happen.